These watercolor pieces were left over after the Watercolored Floral Wedding Card . Supplies: Stamps – Avery Elle, Clearly Besotted, paper – Neenah Classic Crest Solar White, Stampin’ Up! Gable Green (retired), Tempting Turquoise (retired), Strathmore Bristol, inks – VersaFine Onyx Black, VersaFine Clair Twilight, ZIG Clean Color Real Brush Pens Cobalt Blue (031), Green (040), Light Green (041), Orange (070), dies – Avery Elle, embossing folder – Provo Craft, sequins – Darice, embossing powders – Ranger Silver Pearl, Stampendous Detail clear. 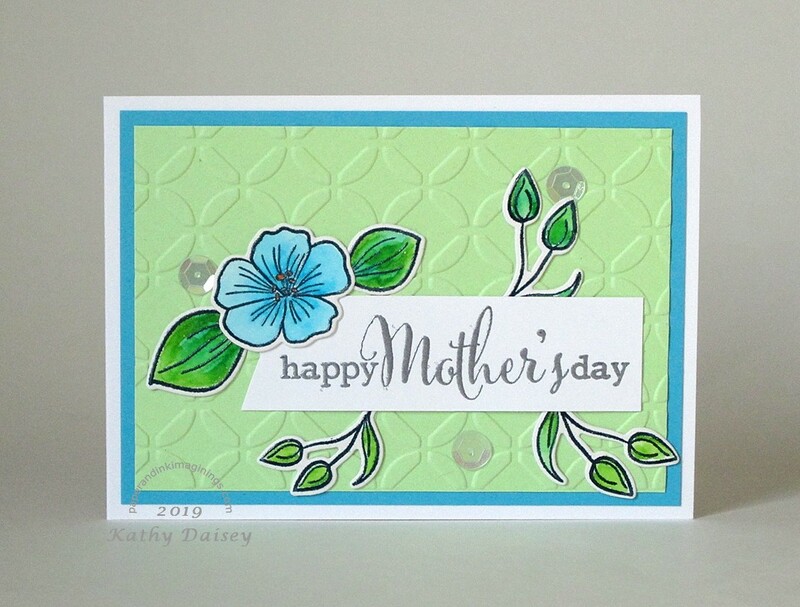 Categories: card, Mother's Day, note | Tags: Avery Elle, card, Clearly Besotted, Darice, Neenah, Provo Craft, Ranger, Stampendous, Stampin' Up!, Tsukineko, VersaFine, VersaFine Clair | Permalink.